Bring the latest modern style into your home and take advantage of high quality, comfort and exclusive design. Ancona bedroom set comes in beige high gloss finish and offers crocodile textured finish on the drawers abd headboard. 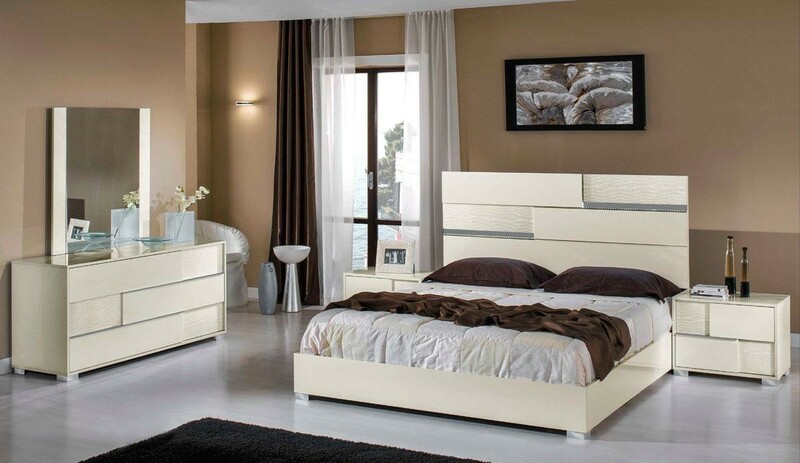 Platform bed features LED lights and matching headboard design with chromed accents. Collection offers a six drawers chest, queen or king bed, dresser mirror and two drawer nightstand also available in black and white colors.